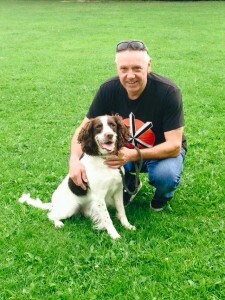 Congratulations to Ollie our lovely English Springer Spaniel who was adopted this morning by Tony. We are delighted for Ollie who couldn’t hope for a better home and seems to have settled in very nicely to his forever home already. 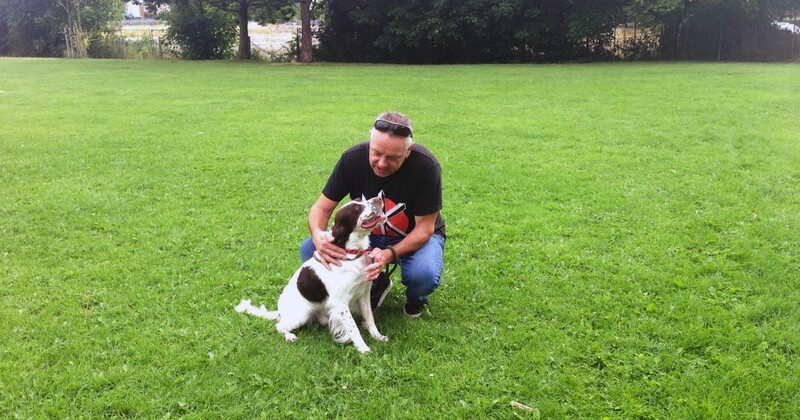 When Tony first met Ollie it was obvious they were going to get on like a house on fire but like most situations we always recommend a trial foster before completing the adoption to make sure both you and the dog settle in to a new life together. Well it wasn’t long before we could tell Ollie wouldn’t be coming back to us, as you can see in the photo how happy he looks in the great outdoors after only a couple of days. 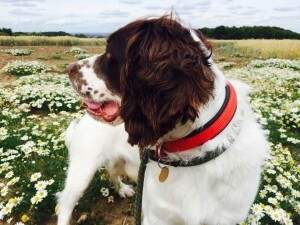 We are sure that Ollie and Tony will only improve each others lives and it gives us great pleasure to see both dog and owner happy and we wish them all the best. Remember that once a C.A.R. rescue dog, always a C.A.R rescue dog and we will provide full support and back up for the life of your adopted dog no matter how big or how small the problem, day or night. Why not check out some of the other dogs or cats who are looking for their forever homes or apply to foster a dog or cat who’s waiting for the right person. If you can please take some time and donate towards the rescue, we rely solely on the generosity of donations and every bit no matter how small could help to save a life.